There are still (still!) big snowpiles around, but the sun is up from 5 AM to 9 PM (with substantial twilight) so we know Spring is coming. 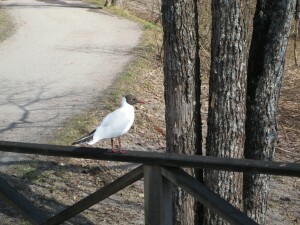 We have also had an influx of seabirds in town. I am not sure if they are nesting along the riverbank or what, but they have some noisy territorial fights and hang out in big groups. They aren’t especially friendly, but will swarm little kids who feed them bread. 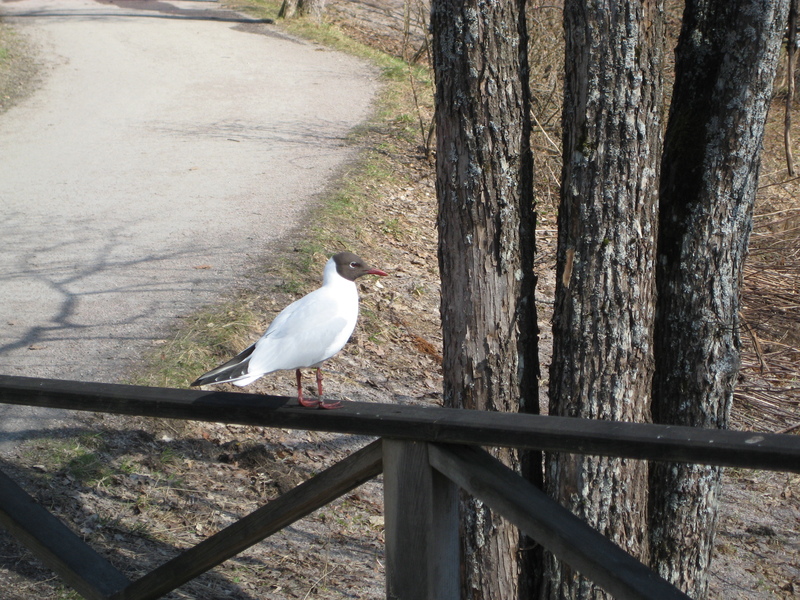 Visiting seabird - I think this is a tärna. Whatever he is, he brought all his friends and family.